April 27: Top 3 2018 INDIANA ARBOR DAY POSTER CONTEST winning posters announced on the Indiana Division of Forestry Facebook Page! You can see all 12 Finalists here. April 25: Online voting closes for the Top 3 favorite 2018 INDIANA ARBOR DAY POSTER CONTEST posters. April 19: Online voting for the Top 3 favorite 2018 INDIANA ARBOR DAY POSTER CONTEST posters begins! April 6: 2018 INDIANA ARBOR DAY POSTER CONTEST TOP 12 posters selected by the ADPC Committee. February 8: Launch Announcement for the 2018 INDIANA ARBOR DAY POSTER CONTEST! What else is happening in 2017? Click HERE for an AWESOME list of Autumn Urban Forestry Events compiled by Matt Lord (Indiana Community and Urban Forestry Program Outreach Coordinator). Thanks, Matt! AUGUST is “TREE CHECK” Month! The U.S. Department of Agriculture’s Animal and Plant Health Inspection Service (APHIS) wants to remind the public that August is Tree Check Month. This is the best time to spot the round, drill-like holes made by the Asian longhorned beetle (ALB); a highly destructive invasive pest that destroys trees. Learn more about this devastating pest HERE. Jaira watches over our Arbor Rangers booth at the 2017 Indiana Arborist Association Annual Conference. We had a great time at the IAA Conference this winter! Not only was it the first time for us to have an exhibit booth, but Jeff Harris was also honored with a Meritorious Service Award during the Awards Ceremony! We wish to thank everyone who stopped by to visit us during the conference and for your ongoing support and encouragement! The STIHL Tour des Trees annual cycling adventure benefiting the TREE Fund, an international charity devoted to sustaining the world’s urban trees through research and education was held on October 9 – 15. STIHL Tour des Trees is the primary community outreach and engagement event for the TREE Fund, combining great cycling, environmental education, and outreach in a weeklong celebration of urban trees. 100 cyclists with a shared passion for trees arrived in Charlotte, NC, this October and visited dozens of communities where they planted trees, educated children, engaged with local tree stewards and promoted the mission of the TREE Fund. The Indiana Urban Forest Counsel (IUFC) had its annual Fall Pre-Conference and Conference at the Indianapolis Zoo in the Hulman Riverhouse on October 11 & 12: . Attendees enjoyed a Pre-Conference hands-on service learning project on Tuesday, followed by a volunteer appreciation picnic. And then on Wednesday (Conference Day) were treated to an amazing set of talks and a behind the scenes tour! CEU’s for ISA Arborists and ASLA Landscape Architects were available. The conference also featured an Awards presentation. Tree Risk Assessment Qualification (TRAQ) Course and Exam in Indianapolis, IN at the Nature Center in Holliday Park was presented on September 27 – 29 and included a two-day educational course followed by a 1/2 day assessment that included both a written and field component. The course prepared participants to take the TRAQ assessment to become ISA Tree Risk Assessment Qualified. 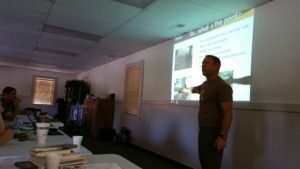 The course was required and upon successful scoring on the assessments, participants will receive the ISA Tree Risk Assessment Qualification. 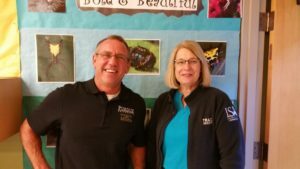 ISA’s President, Michelle Mitchell, was a TRAQ Instructor, along with IAA’s Executive Director, Lindsey Purcell. IAA Tree Climbing Competition at Southeastway Park in New Palestine, IN September 9 & 10. 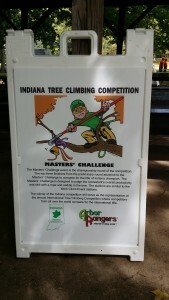 Winner will represent Indiana at the ISA International Tree Climbing Competition. A total of 3 CEUs was available for all competitors and Judges. 48th Annual Indiana Arborist Association (IAA) Golf Outing in Muncie, IN. The event which took place on August 25th raised money for the TREE fund which provides funds for tree research in urban forestry and arboriculture. 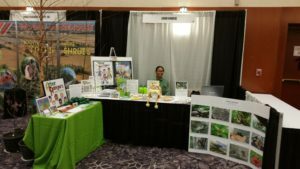 International Society of Arboriculture (ISA) Annual International Conference & Trade Show was held in Fort Worth, TX on August 13 – 17. 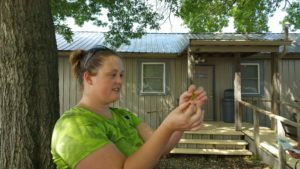 Tree Steward Training was given on August 11 & 12 at Johnson County Park in Edinburgh, IN. Hoosier ReLeaf‘s “Soil-to-Soil” Event held on Monday, April 25, 2016 in Fort Wayne, IN provided fun information on conservation, ecology, trees and appreciating our natural resources and featured special guest, Tim Womick the Modern Day Johnny Appleseed! We also got a chance to meet and befriend Dr. I.C. Coldwater (a.k.a. Matt Jones, Water Resource Education Specialist) who conducts on-site presentations and utilizes outreach tools on water quality and conservation measures at local festivals and fairs. He is a trained facilitator for Project WET of the Allen County Partnership for Water Quality and has developed the character “Dr. I.C. Coldwater” to further promote the importance of water quality and conservation measures for our youth. 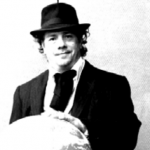 Check out his video and, to schedule a presentation or tour, please go to his page here! Indiana Urban Forest Council Arbor Day Poster Contest for Fifth Graders. See the 2016 State Winners! CONGRATULATIONS!